An immigrant is a foreign national who has been granted the privilege of living and working permanently in the United States. You must go through a multi-step process to become an immigrant. In most cases, USCIS must first approve an immigrant petition for you, usually filed by an employer or relative. Applicants for adjustment to permanent resident status are eligible to apply for a work permit while their cases are pending. You should use USCIS Form I-765 to apply for a work permit. If you are applying for adjustment to permanent resident status , you must receive advance permission to return to the United States if you are traveling outside the United States. This advance permission is called Advance Parole. If you do not obtain Advance Parole before you leave the country, you will abandon your application with USCIS and you may not be permitted to return to the United States. If you need further assistance with regards to your K-1 Visa or Adjustment of Status while in the United States. 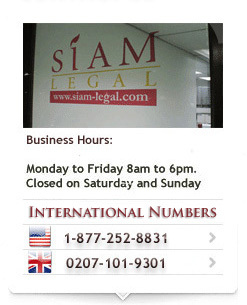 Speak to any of our US Immigration attorneys online or in person, better yet on our toll free number!